If you would like to use the 3D secure tool that is available on your account you will first need to activate these within your MySagePay. You are then able to add rules to your account to automatically review transactions processed on your account, and accept or reject these transactions based upon the results of the rules. Before doing this however you will first need to log into your MySagePay area. Also you must make sure the user you are logging into MySagePay has the administration privileges to do so. Once you have logged into your MySagePay account you will then need to activate the checks on your account. To do this click on the Settings tab, followed by 3D secure. You will then be able to activate the 3D secure scheme and manage the rules within your account. 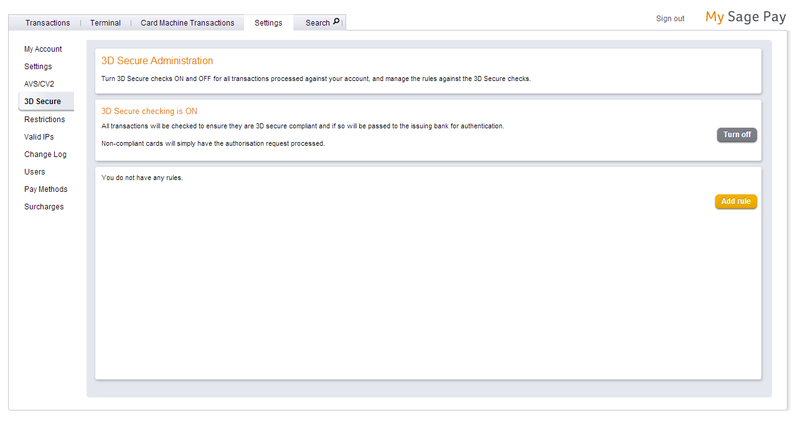 Now that you have activated 3D Secure you are able to add rules to your account. By selecting Add Rule within your MySagePay you are able to add conditions to your account based upon the results of the 3D secure authentication. Once you have selected Add Rule you will then be presented with the “Add a new 3D secure rule” screen. This screen will allow you to add a start value, and end value to the rule and then add the restrictions to the rule. Within this screen you are presented with 5 options when adding rules to your account. You are free to select as many, or as few of these options as you see fit. 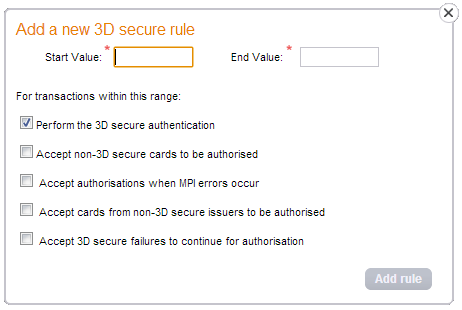 Perform the 3D secure authentication – If you would like 3D secure to be checked, you must select this box. 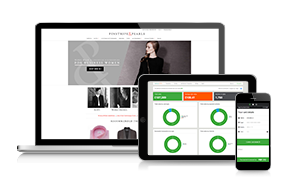 If not, 3D Secure will be unavailable for the price range you have defined. Accept non-3D secure cards to be authorised – As 3D secure is a scheme that shoppers have to register for, some customers on your site will not have this enabled. By selecting this option, you will allow all shoppers who do not have 3D secure enabled on their cards to processed for authorisation. Accept authorisations when MPI errors occur – Because we do not control the 3D secure scheme we cannot ensure its availability at all times. By selecting this option you will be able to process transactions without 3D secure when the scheme encounters difficulty. Accept cards from non-3D secure issuers to be authorised – As only Visa and MasterCard, and recently American Express are eligible for 3D secure this option allows cards to be accepted when they are not part of 3D secure. Japanese Credit Bureau and Diners Club cards are not part of the scheme, and if you accept those cards on your account you will need to select this box. 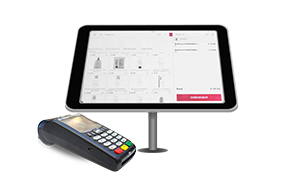 Accept 3D secure failures to continue for authorisation – This final option allows you to allow transactions to process if the shopper has entered the incorrect details and failed the 3D secure checks. 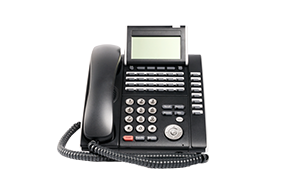 Each option that is selected will allow transactions that meet the criteria to be successfully sent for authorisation. If the transaction does not meet the requirements of the rules that have been set, the transaction will be rejected and appear on your account as a failed transaction. Now that you have added one rule to your account you are able to have more if you want. In order to add multiple rules to your account you simply need to complete the same steps as above. When adding another rule you cannot have the start, or end values overlapping as this will not be allowed on the system and not add the rule to your account. Multiple rules are used when you would like additional security over multiple price ranges. This also enables you to vary the levels of security on your account depending on the price ranges you wish to implement.